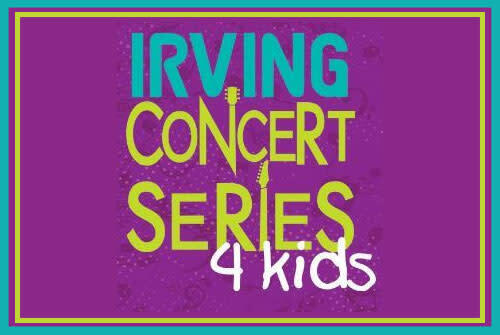 The popular music series for toddlers and preschoolers returns with four great shows! These Friday morning concerts feature fun performances by top children's music groups, encouraging children to sing, dance and play along. Children ages 5 and younger are invited to participate and learn at these interactive shows. The fun begins when the gates of the Irving Soccer Complex open at 9 a.m. Enjoy the covered playground, free balloons, craft activities, complimentary noisemakers and the chance to meet and take photos with characters from popular children's television shows. Music shows run from 10 to 10:45 a.m. Parking and admission are free. In the event of inclement weather, shows will be moved to an indoor location. Parents, be sure to fill out a survey at each show to be entered in weekly drawings for tickets to Medieval Times!